Just Imagine those cute little AirPods that give you a soothing effect when plugged in, get misplaced. There is a high probability of that as they are without wires, extra light in weight. The likeliness of losing them increases if you do not put them in the case after using them. Also, since you have spent more than 150 USD on their purchase their loss is going to hurt you more. But Apple too knows that those tiny little AirPods can be easily misplaced if not properly handled, therefore they have provided an option to find your lost AirPods with Find My AirPods feature. Though this is not a new feature it is just the extended version of Find My iPhone feature that is helping thousands of users to get their lost iPhone back. So, without wasting much of time let’s learn how to use this feature to get the lost AirPods back. Before we get started please note that to let this feature work, you should have iOS 10.3 or higher installed on the iOS device that is paired with AirPods. Yes, you need to have your AirPods paired with an iOS device along with Find My iPhone enabled on that iOS device. If you fulfill these basic requirements then you are good to go. Also, please note that if you have already set up Find My iPhone on your iOS device and have an active iCloud account on it then you do not need to separately add your AirDrops to Find My AirPods. 1. If you are using a computer then go to iCloud.com. 2. Now sign in to iCloud with your Apple Id and password. 4. Now click All Devices and select AirPods. 1. Tap on Find My iPhone app on your iOS device to launch it. 3. Once signed in, tap on AirPods. If they are located they will be automatically plotted on the map. Also, the iOS device that you are using to locate AirPods has a blue dot in front of it. Like in the picture above John’s iPhone is used to find AirPods therefore you can see a blue dot just in front of it. Apart from blue dot there can be two more dots with color Green and Grey representing the AirPods. If you find a Green dot in front of the AirPods it means that your AirPods are online and you can easily locate them by playing sound through them. However, if you see Grey dot then it means that your AirPods are not online. This can be for several reasons like they are out of battery, not in the range or still inside their case. In that case finding them can be a bit difficult. As discussed above, a green dot symbolizes that your AirPods are Online and connected. Now to find them you need to play a sound through them. To do so tap on the AirPods, select Actions > Play Sound. The AirPods will start playing sound. Although initially the sound is not that much loud but will gradually increase enough to be located. Now if you are able to locate the right AirPod then you can mute the sound coming from it by tapping on Mute Right. This will help you concentrate better in finding the left one. Now, once you locate both tap on Stop Playing to stop the sound coming from the AirPods. 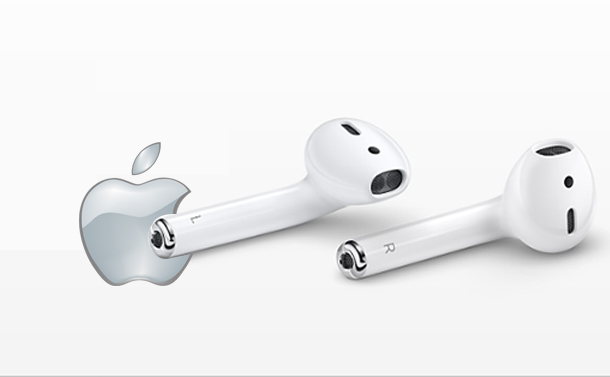 Warning: Make sure that none of the AirPod (left/right) is in your ear before tapping on Play Sound button. If your AirPods are offline mainly because the battery is drained out or they are still in the case or out of range then you will find a grey dot before them and they will not be plotted on the map. But you can still tap on them to see whether you are able to get their last known location. In case you are able to find their last location, your search will be concise resulting in chances of getting your lost AirPods back. If you are still unable to find them then leave the technology and start searching for them manually wherever possible. If you are able to find even one then you can make the purchase of the another at just 69 USD.